When I created the Coffee Mystery Facebook Page in 2013 – I hardly knew what it was all about. As time goes by, I continue to become more targeted on the passion of Coffee Mystery’s community. Long ago, in my early womanhood, there was a rhythm in my soul. I tapped my foot, and popped my fingers, many could have called it the Blues and as time clicked by I’ve come to hear a deeper melody. A chant of sorts ringing deeper still in this massive heart of creativity, linked to worn out cups of coffee while Jazz beats in the background. Coffee Mystery Blog comes out of a cavernous wailing desire for consistent texture. A weaving of sensual coffee aroma, a romantic classic guitar, and a Columbian full-bodied percussionist is a compelling muse. Here, in this blogging space you may find a natural comfort and freedom. There may be points in time when collective perspectives interlace, plaiting our thoughts with beaded compositions of tasty morsels dancing in waves of hot dark liquid and melted butter. Be prepared for opinions, rantings, ramblings, fabrications on the wild side. We promise to make time for your heart to untangle and zigzag drips of honey in your tea and flickers of musicality of steamed milk over a midnight espresso. 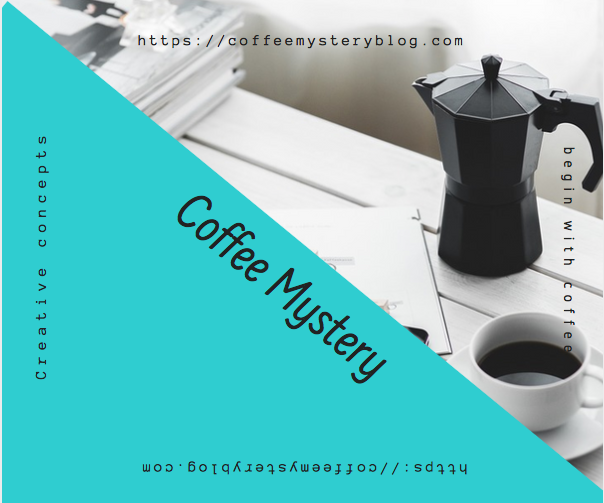 Coffee Mystery is all about an inner connectedness to our daily routines that spark, inspire, and motivate each of us to BE the best person we can, with a bit of humor. In honor of those who love music, good books, and great coffee surprises in our written improvisations. Tea lovers may find the spark to join us, too. If you are enamored with coffee, conversations, books, and music, we welcome you to Coffee Mystery Blog.